Valerie Taylor has an ease and grace in the water that conceals her 82 years of age. Valerie has been diving for over 60 years. She can tell stories about a sea bursting with life, the great schools of fish, sharks as far as the eye can see. These, she says, are now gone. But Valerie remains hopeful. She believes that the ocean will recover, ‘if’ we leave it alone. Famous for her chainmail shark suit and gracing the covers of National Geographic, Valerie and her late husband, shark protection pioneer Ron Taylor, carved out an extraordinary career with their stunning marine documentaries. Ron and Valerie introduced Australia and the world to the wonders of marine life, and more specifically sharks. Starting their ocean careers as competitive spear-fishers, as their fascination with the oceans increased they gave up their spears for cameras. The list of credits and awards for Valerie Taylor is extensive. She and Ron were the first people to film great white sharks without the protection of a cage. They made countless shark films including Blue Water, White Death which caught the attention of American film Director Steven Spielberg and lead to them working on Jaws. The list of film and television credits is exhaustive but it’s the conservation work Valerie has done both in Australia and around the world that is truly impressive. 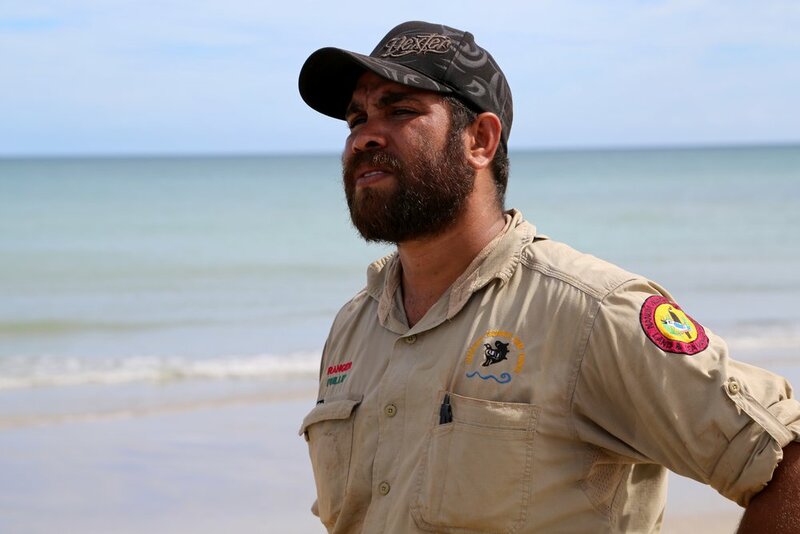 Phillip Mango grew up on Cape York peninsular and now works as a Senior Nanum Wungthim Land and Sea Ranger. The ‘saltwater country’ he looks after includes some of the most intact coastal and marine habitats in the world. It is one of the last great strongholds for globally threatened turtles and dugongs and supports some the world’s largest mangrove forests, coral reefs and seagrass meadows. It also has one of the most intact traditional Indigenous knowledge-based management regimes on the planet. The Nanum Wungthim Rangers operate a highly successful sea turtle rescue operation and manage one of the regions hotspots for ghost nets. Working with Ghostnets Australia, Phillip leads a team of six hardworking rangers all of whom are passionate about their coastline, rescuing injured marine life and removing ghost nets from their coastline each year. Working closely with Cairns Turtle Rehabilitation Centre, Phillip and the rangers have restored many injured turtles back to health in addition to monitoring and recording data on the breeding, hatching and nest sites of our endangered marine turtles. Collectively they have rescued over 300 entrapped turtles and removed 13,000 nets from the Gulf of Carpentaria. Growing up on the prairies of Alberta, Canada, Jennifer couldn’t have been further away from the tropical paradise that is Lord Howe Island where she spends so much of her time now working. This paradise holds a dark secret. Here 100% of the shearwater chicks contain plastic they’ve been fed by their parents, foraging in the South Pacific. Jennifer is a marine eco-toxicologist with expertise in seabird ecology, plastic pollution, invasive species management, and fisheries by-catch. The long term monitoring of sea bird colonies has taken her to remote locations around the globe. She has worked for the Royal Society for the Protection of Birds and the US Fish and Wildlife Service in Hawaii and the Canadian Sub-Arctic. Jennifer currently works as a research scientist at the Institute of Marine and Antarctic Studies at the University of Tasmania. Jennifer is passionate about communicating the issues surrounding marine plastic pollution to the public. She coordinates community environmental activities for school groups and hosts dozens of science workshops and seminars every year. Ultimately Jennifer hopes her research will contribute significantly to the responsible use of plastic products as well as the management of wildlife at risk from plastic ingestion across the globe. Lucas spent his childhood barefoot on a farm in the Byron Bay hinterland in Australia. His days were spent exploring the nearby rainforest looking for platypus, pulling yabbies out of the creek, climbing trees and building dens. He’s passionate about preserving the natural world for future generations so they the same magical opportunity to connect with nature that he had. Lucas started exploring the ocean as a young boy, spear fishing, for the family meal. As an eight year old, when other kids were reading Dr Seuss, he was reading fish taxonomy books and knew all the Latin names of the fish he caught. Now as a marine biologist, underwater photographer and freedive instructor, these days Lucas is more likely to be found underwater then above water, diving to depths of 55m on one breath of air. Able to hold is breath for six minutes, the ocean is his spiritual home. Lucas has dedicated his life to promoting a global approach to ecologically sustainable development. An easy going and often laconic boy from the bush, he is a passionate advocate for the future of the oceans. He has assisted campaigns to force inquiries into better management of our precious marine resources as well as assisting in the hands on research. Lucas insists reliable science and a deep understanding of all the people who use it, what they value, what their needs are, is essential to managing this finite resource. 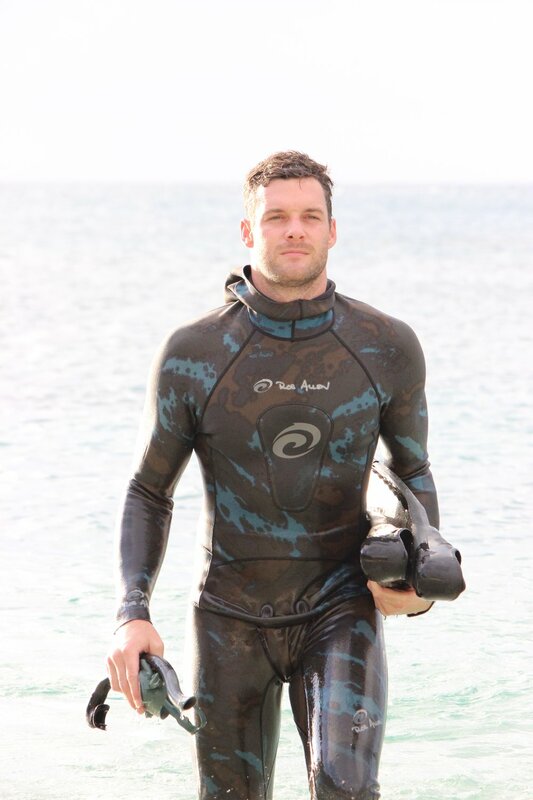 One way he is doing this, is through his work with Scuba for Change, and organisation that invests in Pacific Island communities and their sustainable future. He is helping villagers in the Solomon Islands keep their reefs intact by developing their own ecotourism enterprises. To others Madison Stewart is a passionate young conservationist, activist and shark advocate but Madison Stewart (aka Shark Girl), self described, is just a person, who refuses to believe sharks will loose their home in their lifetime, at the hands of governments and worldwide neglect. Madi grew up with a life connected to the ocean, living on a yacht on the Great Barrier Reef from the age of 2. Making an agreement with her father to trade in her school fees for an underwater camera, Madi left school when she was 14 to begin home schooling. From that point on, the ocean creatures were her teachers and her classroom was the Great Barrier Reef. Even at her young age, Madi witnessed change. She noticed a decline in the number and type of sharks as a result of ‘legal’ shark fishing with the World Heritage park, with catches equaling 78,000 sharks taken each year. Madi will tell you she has always had an affinity with sharks, large and small. So outraged at the destruction she saw first hand she resolved to do something about it. 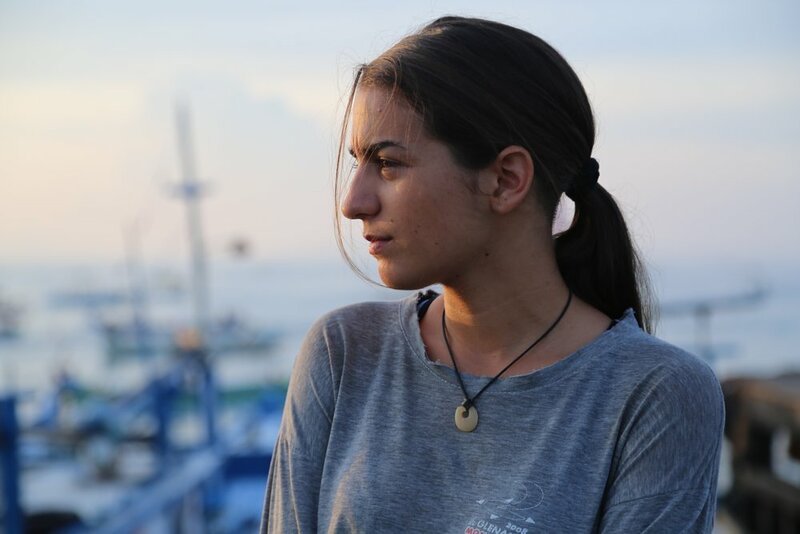 At the young age of 16, she dedicated her life to the protection and preservation of sharks. As an underwater filmmaker she wants to show the world what is being destroyed. Over 73 million sharks are taken for the shark fin trade alone each year. She uses her camera and her talks as tools to grow public's awareness about the plight of sharks, with the ultimate goal of getting governments around the world to take action to protect sharks. “I want a future with sharks in it. This is the end I am fighting for”, and she’s fighting very hard. Environmentalist, plastics campaigner, sustainability advocate and surfer, Tim Silverwood is a self described ordinary guy who somehow found himself at the forefront of a global movement. Travelling the globe with his surf board, Tim was appalled at the state of many or the worlds beaches and premium surf spots. He made a personal decision to clean plastic from his favorite surfing beaches and his desire to inspire others to do the same has led him down an extraordinary path of scientific exploration, advocacy and activism. This path led Tim on to co-found ‘Take 3 - a Clean Beach Initiative’ that asks everyone to simply take 3 pieces of rubbish when they leave the beach, waterway or…anywhere. Take 3 takes the issue of marine plastic pollution into schools, surf lifesaving clubs, and the broader community. In 2016, Tim was invited to Washington DC to attend the 3rd Annual Our Oceans Conference hosted by the then U.S. Secretary of State John Kerry. A leading advocate for reducing plastic pollution in the world’s oceans, Tim was thrilled to moderate the panel on marine pollution at this prestigious gathering of world leaders and influencers. In addition to his work with Take 3, Tim is also a co-founder of the Plastic Bag Free NSW campaign, a spokesperson for the Boomerang Alliance campaigning for better recycling and has facilitated over 200 educational seminars to schools, universities, businesses, community groups and government departments since 2011. With a vision to be a leader in significantly reducing plastic pollution in Australia and around the glove, Take 3 has set a goal to remove 3 million pieces of plastic from the ocean over next 3 years. Mark Dia is the Regional Oceans campaigner for Greenpeace South East Asia. Through his work, he has uncovered illegal fishing practices, corruption and labour abuses within the seafood industry, and is fighting hard for global sustainable fishing practices. Mark has a long history with Greenpeace that dates back over 20 years when he climbed onboard the MV Greenpeace as one of the very first Greenpeace volunteers in South East Asia. Inspired by their success in preventing dumping of radioactive wastes at sea, his Greenpeace days started out climbing a crane with a banner that said “Australia Stop Wasting Asia”, on a ship dumping toxic waste off Manila. “It was a way of telling the world what was going on, otherwise no one would know”. That sort of action – peaceful yet powerful, started a career Mark chased with a passionate desire to make change. Now, as the Regional Oceans campaigner for Greenpeace SE Asia, his key focus is on preventing unsustainable fishing. He and his team have recently audited the tuna canneries of Indonesia and the Philippines – tracing the supply chain between fishing fleets and the product sold to consumers. It’s a difficult, often dangerous task attempting to stop ‘fish laundering’, where illegal seafood is co-mingled with legal caught fish – hiding the true scale of the black market. But Mark wants consumers to know which companies rank as socially responsible, when it comes to the business of seafood. Mark believes we are facing a seafood crisis, which consumers can help avert. “When the fish run out, the small scale fishermen will be left starving while the big fishing company owners can go into another business with their fat profits”. Mark has his work cut out for him. These communities, with a population of 12 million worldwide, literally have a life-or-death stake in having sustainable fisheries.